Did I need another highlighter? Absolutely not, but when Natasha Denona releases a new product, I am always going to want it! 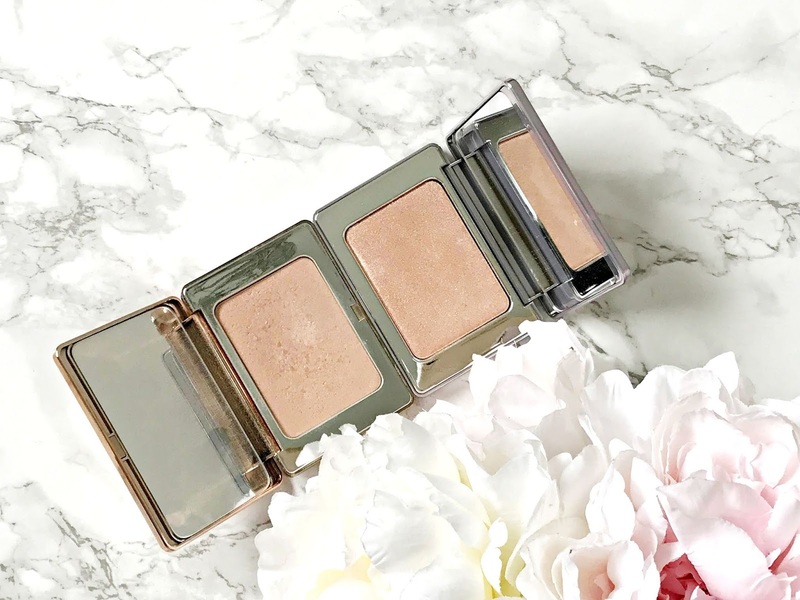 If you are a regular reader of my blog, you will know that I am a huge fan of Natasha Denona products (posts here, here and here) and I really love her original Glow highlighter, which made me curious to try the new Super Glow powder. But are they really so different? In general, I find that the quality of Natasha Denona powder products is top notch (one exception here but that was replaced by the brand and the pigmentation lived up to expectation in the replacement). The original Glow powder is so finely milled that it melts into the skin and provides the most flattering highlight. It doesn't accentuate fine lines and isn't glittery so it's perfect on both mature and young skin. Super Glow is available in three shades: Fair, Light/Medium and Bronze. I bought Light/Medium, which is very similar to the Light shade in the original Glow Powder. The original offering has gold packaging but Super Glow has a silver/mirrored case, which reflects that the powder inside is more intense and reflective than the original. The powder is just as buttery soft as the original - one of the nicest highlighters I've ever used in terms of texture, and it melts into the skin. The difference is that Super Glow gives a super intense highlight - the finish is almost glass like but there is no glitter. It would be better to describe it as a strobing powder than a highlighter, that being said, it is still flattering on the skin due to the texture. I personally use a light hand and like the result but if you like your highlight to be seen from outer space, you will really love this as it can be layered to increase intensity if you really want it to be blinding. If you don't own either the Glow or Super Glow but would like to try a Natasha Denona highlighter, then the original Glow will give you a subtle, extremely flattering highlight whereas Super Glow is the one to go for if you prefer a super intense highlight. Neither has glitter particles and both are buttery soft. You won't regret picking one of them up but probably don't need both. Are you a fan of Natasha Denona products? How intense do you like your highlight to be? I'd love to hear!